How can you share with others what you're doing to support FCS Educator Day? 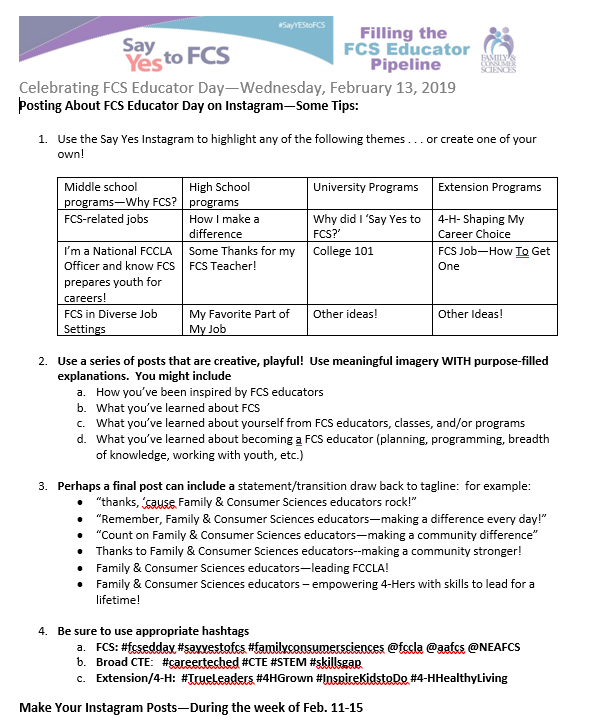 Click here to add the FCS Educator Day Twibbon to your social media profile image. 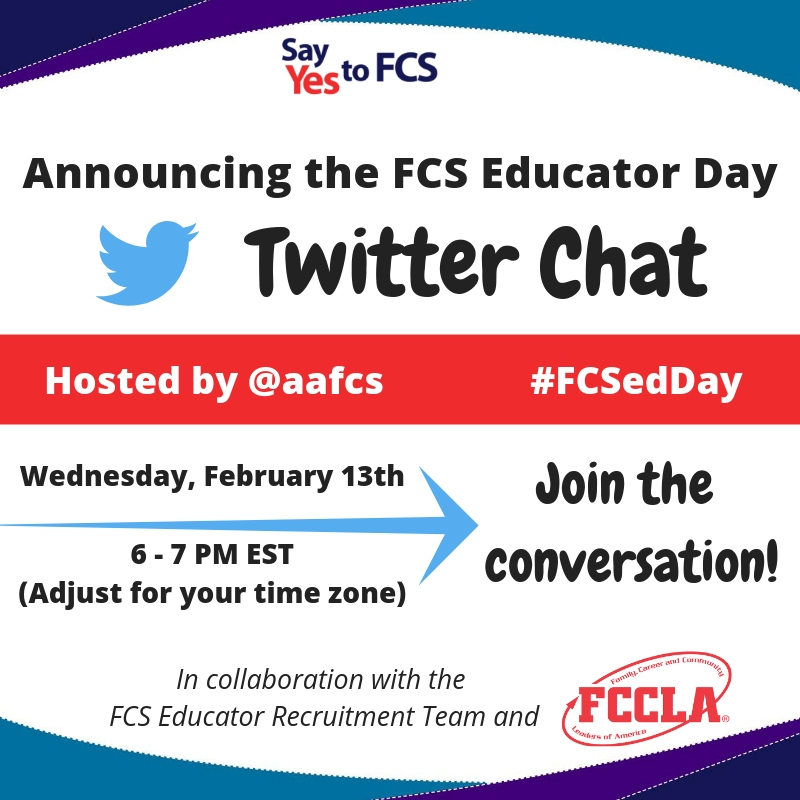 Share your comments about how FCS has made a difference in your life and post using the hashtags #FCSEdDay and #SayYestoFCS. Check out the tip sheet below regarding Instagram posts (click image to download)! If you've seen a great FCS Educator Day story or promotion online, share it with us! Email the link to sayyes@aafcs.org.